Albert Carroll Shesler, formerly of Windsor, died peacefully Thursday, November 20 at Buckingham Place in Princeton, NJ. His loving family was by his side. He was born in Somerville, NJ on December 2, 1915. His parents were the late John and Florence Shesler and the family lived in Yonkers, NY where he was raised and educated along with a brother Elmer and sister Florence. He married Linda Thomas on January 1, 1938. They celebrated 69 wonderful years together before her passing in 2007. Their family included a son Albert and daughter Carol. In 1955 the family moved to Norwalk, CT and lived there for many years. Albert and Linda moved to Windsor, CT in 1987. In November 2003 they moved to the home of their daughter and son-in-law in Pennington, NJ. At the time of his retirement, Albert was the Chief Engineer for Teledyne/Mt. 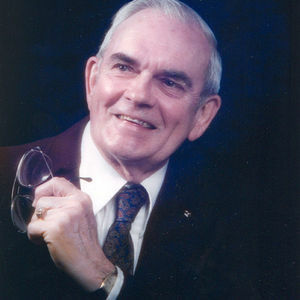 Vernon Tool and Die Casting in Stamford, CT. His career with the company spanned 46 years and he was a recognized and respected expert in the industry. Albert was a gentleman farmer and an international traveler. In his younger years he was active in the Boy Scouts. He was a leader in senior organizations and his interests included participating in choral and drama groups and square dancing. He will be greatly missed by family members including daughter and son-in-law Carol and Allen Rowe of Pennington, NJ and son and daughter-in-law Albert and Rita Shesler of Windsor, CT. Also left behind are beloved grandchildren and their spouses Pamela and Patrick Emery, Linda and Patrick Catullo, Alysia and Ellery Perkinson, Jon and Jocelyn Shesler and great-grandchildren Ryan and Chase Catullo and Ethan Perkinson.